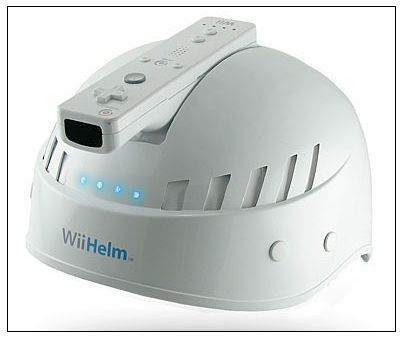 The Nintendo Wii has surely revolutionized gaming as we know it. Rabid fanboys everywhere are now flailing their arms in delight as they wield the Wiimote as a tennis racket, baseball bat or sword. Problem is the average gaming geek is just not up to the strenuous task of vigorous arm movement for longer than 10 minutes. This makes those extended play sessions a thing of the past… and who wants to beef up at the gym just to play video games on your couch? More at ThinkGeek (with video). April 1, 2007 Posted by oldstersview | Uncategorized	| Comments Off on ThinkGeek strikes again. Hey, Bill. I don’t see the 20 Million Vista copies either. 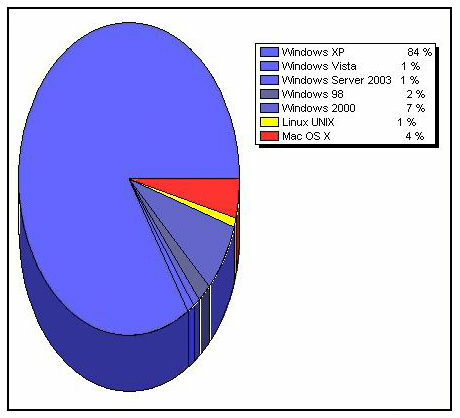 Bill O’Brien recently posted a summary pie chart that showed virtually no use of Vista to access his main blog at Technudge.net. Here’s the same sort of chart for Oldstersview. So where are the Vista users? Seems like they would be showing in greater numbers than one or two percent if there really were 20 Million copies purchased on launch.